Add an extension to your team! in over 30 European and Asian Languages. including Arabic, Chinese, Japanese, French & German. dedicated & shared models to cater to your specific business needs. Scale up & down easily. Whether you are Luxury Spa/Salon owner or a “no frills’ one, you understand how important it is to pamper your clients. And that is not possible when you have to split attention between clients in front of you and attending to incoming calls from customers or to book their online spa appointments. Doing justice to both can get really overwhelming, often leading to either missed new appointments or disappointed existing customers. With us, we handle all your incoming calls so that you focus on delivering excellent service and 100% satisfaction to your clients in the salon and can concentrate on making retail sales. Given our experience in servicing Salon and Spas, we have designed customised Appointment Setting, Revenue Enhancement and Customer Service Solutions to address their specific needs. The best part is that most of our Salon and Spa specialists are experienced professionals in this line of business and hence, are ready to hit the ground running with minimal guidance when they come on board on your project. With excellent customer service aptitude and strong interpersonal skills, they are all trained on the services offered by a spa/salon and can hence intelligently answer all such pertinent queries. We may be offshore but are completely hands on! We are familiar with most scheduling and POS systems used by Salon and Spa industry such as Mind Body Online. 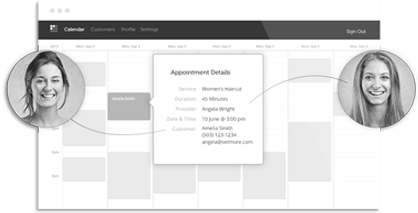 We can work with whatever online calendar management software you use to schedule appointments. We understand that it is less expensive to retain a client who has called in for online spa appointments than it is to find a new one and therefore, if we can’t book a client during their preferred day/time slot, we don’t leave them with a flat-out “no” but work with the client to find another time that suits her schedule and ask for her permission to call back if a last-minute opening becomes available. Similarly, when an agitated client calls up to inform that she is running late, we work hard to accommodate her or reschedule her, showing that you care and thus, not bully her into next available salon! 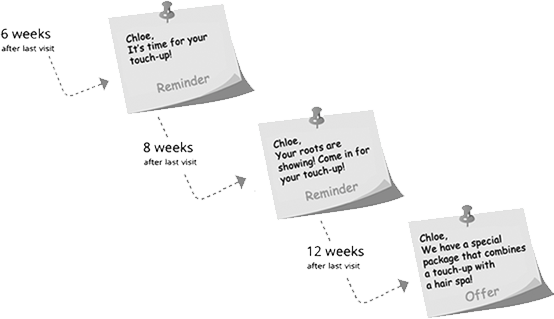 Most importantly, we manage your online spa appointments book efficiently to ensure that appointments are booked back- to back and there is as little idle time as possible wasted in-between appointments. We put in an extra effort to make sure that we understand the strengths and weaknesses of different stylists. 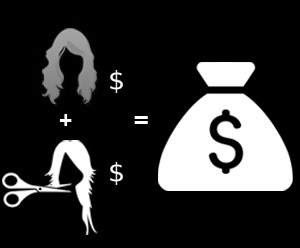 This way we know who to book your client with if she is looking to get a cut for her curly tresses or who to hook her up with if she wants to shake things up with an edgy cut! Sometimes great services or ambience is just not enough to make sure that your clients return after they have availed of your services once. Re-engaging them is essential to make sure that they are not lured by your competitors. Our representatives proactively make a follow-up call help them for online spa appointments after their visit to seek their feedback on their experience. Some will be happy and that’s a perfect opportunity for us to ask if they would like to schedule another appointment. Some may have a genuine grouse while others will be generally nitpicky. Either way, our reps do whatever it takes to appease any ruffled feathers and pull out all the stops to ensure that your client comes back again and again! Similarly, we call the customers who have been missing from your roster for a while and check if they would like to set up an appointment. If need be, we offer them an incentive to come back. We understand very well that for short-term gain, pressurizing or deceptively convincing clients to book expensive services which do not address their needs or they may regret later is counterproductive and can alienate your customers forever. 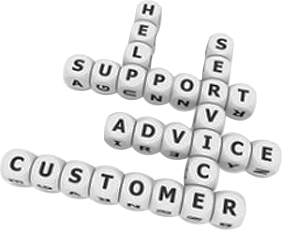 Therefore, to cross-sell or upsell your services, we offer your customers options that are in their best interests and hence make sense to them, encouraging your clients to return time after time and help them through the online spa appointments. 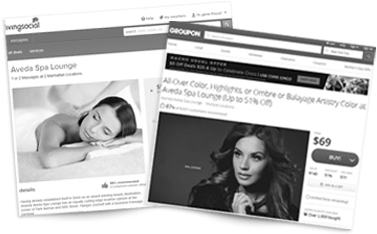 As a Spa/Salon owner, you do understand that running and executing simultaneous multiple coupon promotions in alliance with channels like Groupon, LivingSocial, Guilt etc. and adapting your messaging accordingly is no piece of cake! It is easy to muddle up and get bewildered with different pricing structures and varied terms and conditions that apply to each of them. Our receptionists are accustomed to working in an environment where they are expected to remember and effortlessly handle concurrent marketing promotions being run in spas/salons and take up online spa appointments for you. Moreover, they are adept at the art of communicating the associated policies to customers who call in to redeem the vouchers with requests that cannot be honoured, without making them upset. They know how to ease the pain of denial politely and positively by suggesting alternative solutions so that you don’t lose that client- which sometimes even requires them to convince a voucher client to buy full price service instead! Whether clients are wondering about the rates or specials you are running, or want details on the products you use or the services you offer, we will always be prepared to accurately answer any enquiries (using the information and protocols outlined by you) that come their way and provide informed assistance to your esteemed clients. We proactively brief your clients on your spa/salon cancellation/rebooking policy while scheduling an appointment to avoid any contention later on. Needless to say, there will always be questions that we can’t answer but what is important is that your clients don’t get an impression that they are not talking to someone from your spa/salon. Our specialists are trained to deftly and smoothly field questions they don’t have an answer for and offer to arrange a call back to make sure your clients’ questions get answered satisfactorily. When clients call in to show their displeasure with a service they experienced at your salon/spa, they are usually angry or even hysterical depending on how disastrous things went! How the person on your end of the phone handles the call can make all the difference between losing your client forever and winning her for life. Our representatives have the right temperament and training required to diffuse the tension in such situations. They lend a patient ear to your clients’ complaints, understand the problem, apologize sincerely, offer to rectify the complaint as soon as possible following your salon/saps redo policy and maintain the high score for your online spa appointments. With our fully managed service solution, we book more appointments and generate additional revenue for you without you having to incur the overheads of hiring, training or dealing with hassles of maintaining the staff, equipment or additional space internally. When you talk to your customers on the phone sounding pre-occupied or in a hurry to hang up, you are leaving an awful impression about your salon/spa. We help you create that organized businesslike aura that is essential to attract and inspire confidence in your clients. What is the point of hiring great and expensive staff if they are going to be glued to the phone answering calls, many of which are mundane enquiries? Also, the real-time wasted is not the time it takes to answer on the call but the time it takes to get back in the swing of work once your momentum is interrupted. We help you stop this serious drain on the productivity of your staff so that they can focus on what they are hired for- to help you grow. When you don’t have to constantly leave a conversation or make yourself available to answer calls, you will have ample time to build rapport with your clients that turn walk-ins into loyal and create that serene ambience and therapeutic experience that your clients deserve from their spa/salon trip to de-stress themselves from their everyday hectic lives.